Priced at Rs 9,999, "Echo" is a hands-free, voice-controlled speaker that allows users to access "Alexa" from anywhere in the room. Amazon on Wednesday announced the launch of cloud-based voice service "Alexa" in India, along with three Alexa-enabled voice-controlled speakers Echo, Echo Plus, and Echo Dot. "Alexa" delivers a customised Indian experience, including an all-new English voice with local pronunciations and intonation; support for music titles, names and places in additional non-English languages; local knowledge; and local skills from Indian developers, the company said in a statement. "Tens of millions of customers are already using 'Alexa' and today we're excited to bring it to India with an all-new experience designed from the ground up for our customers in India," said Dave Limp, Senior Vice President, Amazon Devices and Services. Priced at Rs 9,999, "Echo" is a hands-free, voice-controlled speaker that allows users to access "Alexa" from anywhere in the room with far-field voice control. It uses on-device software to detect the wake word, "Alexa". 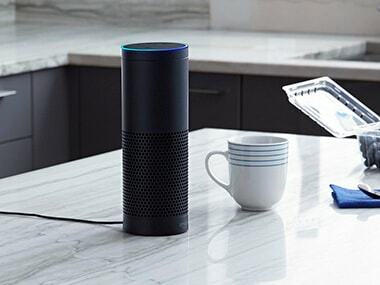 When Echo detects the wake word, the device's light ring turns blue and begins streaming the request to the cloud where "Alexa" processes the request. 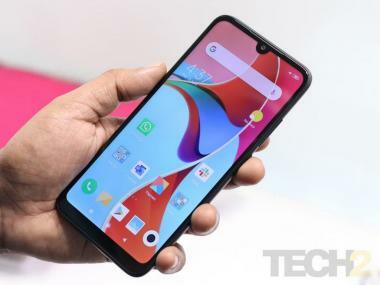 Another device, "Echo Plus", to be available at Rs 14,999, includes all the features of Echo, including room-filling sound powered by Dolby and a far-field microphone array, and adds a built-in smart home hub. "Echo Dot" also uses the same far-field voice recognition as Echo. Priced at Rs 4,499, it has a sleek and compact design and comes in either black or white. The company also said it will soon be bringing its music streaming service -- Amazon Prime Music -- to India. Eligible customers can avail a discount of 30 per cent as an introductory offer on the voice-controlled speakers. They may request an invitation to purchase devices beginning Wednesday at amazon.in. It will begin shipping the Echo speakers starting the week of 30 October.